We know it isn't easy leaving your child with a caregiver while you are at work or bringing your children to their first away-from-home experience at preschool! Children's Circle was lovingly developed and built in response to the needs of parents for a warm, safe, nurturing and challenging Center that would provide care for a full circle of a child's needs. We believe that each child is a unique gift; no two people have ever been born with the exact same gifts and talents. We tenderly care for infants, and nurture preschoolers during their rapid physical and emotional growth and allow their individual gifts and talents to shine and grow! Our children are very, very, ready for kindergarten! We offer schedules for full day (7:30 AM - 6 PM) or Part Day (9 AM - 3 PM), year round, 2 days/wk through 5 days/wk options. We offer a sibling discount! We also offer extended hours as needed. Children's Circle is licensed by the state of New Jersey and we exceed many of their regulations. 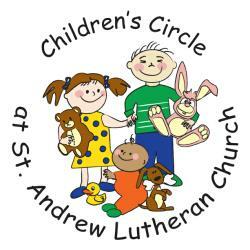 Read more about us including what inspired St. Andrew Lutheran Church to create Children's Circle, learn more about our five classrooms, read what our parents have said about their experience with us via unsolicited testimonials, and feel free to contact us with any questions! Please contact Danielle Mautone, Director with any questions at (973) 884-3652 ext. 10 or via e-mail at childrenscircle@optonline.net. 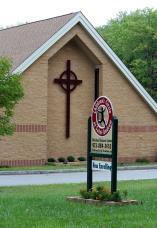 We would love to meet you in person to give you a tour of our Center!